I know virtually nothing about Benjamin Booker. He was one of the first acts announced for this year's Newport Folk Festival, and he seems to have come out of nowhere. When he was announced, he had less than 500 "likes" on Facebook, and two videos on YouTube. I mean, what musician has only two videos on YouTube? Your 14 year old nephew's band has at least a dozen, and they haven't played a show yet. How does someone so virtually unknown get added to one of the most prestigious festivals in the country? By being amazing. His influences range from Blind Willie Johnson to T. Rex. His sound is like early blues recordings mixed with MC5 and Death. It's one of the most raw and unique sounds I've heard in years while still being straight up rock n' roll. It fits completely into everything you already know and love but mixes it up in a way you've never heard before. At this point, I have no idea when his debut albums comes out, but I need it. Now. 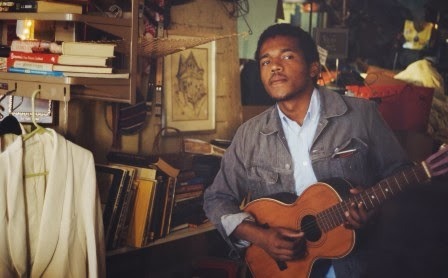 Benjamin Booker is currently on tour with Hurray for the Riff Raff. You can see the tour dates below. Head on over to his page on the ATO Records website for more info, and watch a 3rd YouTube video that just dropped below.